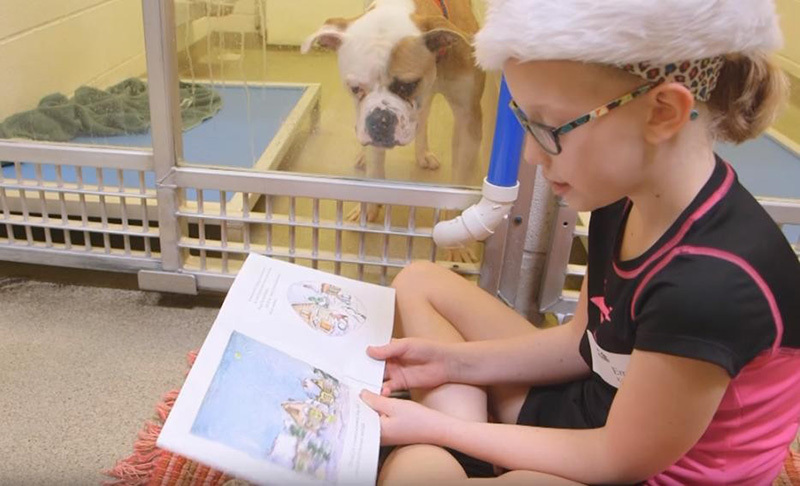 The Shelter Buddies Reading Program at the Humane Society of Missouri is doing wonders for everyone involved. 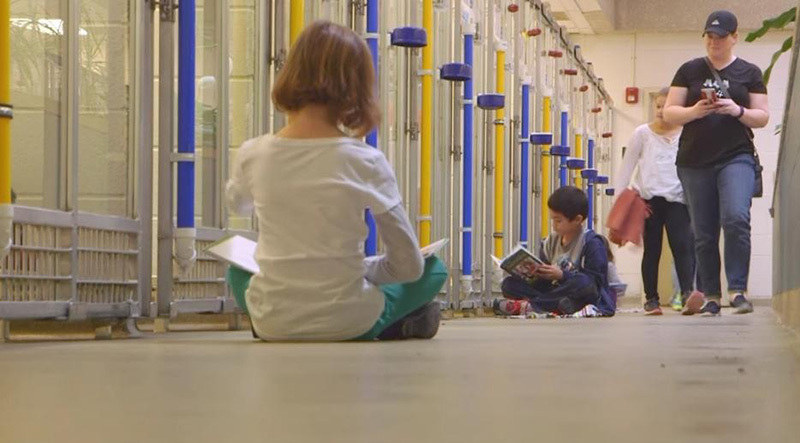 The concept is simple: teach kids to read to shelter dogs as a way of preparing them for forever homes, all while instilling a greater sense of empathy in the youngsters, too. 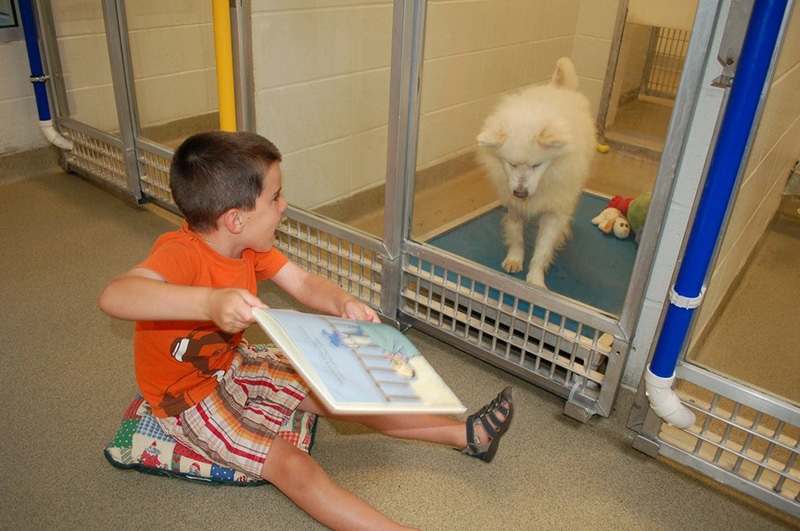 Kids who sign up for the monthly program are encouraged to sit in front of a shy dog’s kennel with a book and read to them. “We wanted to help our shy and fearful dog without forcing physical interaction with them to see the positive effect that could have on them,” program director Jo Klepacki told The Dodo. But shy dogs are not the only ones benefiting from the program. It also teaches high-energy dogs that calm behavior is more desirable. Each child is required to complete a 10-hour training program, learning to work with the animals under supervision. 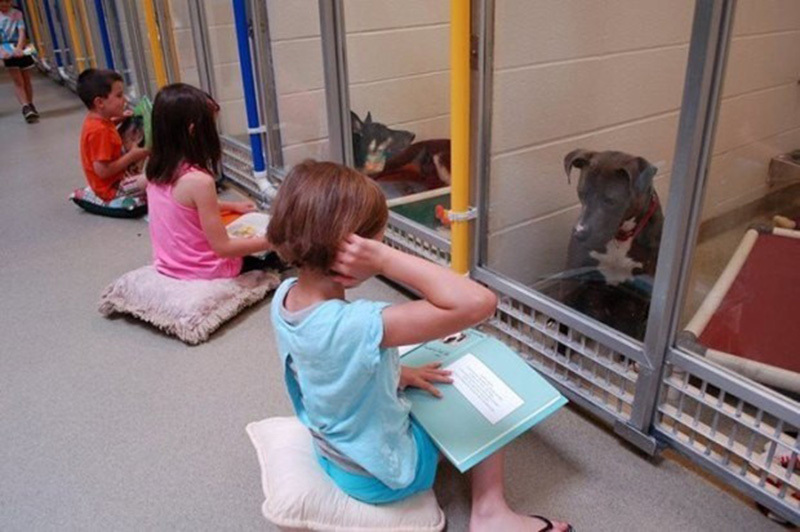 After that, they can then come back with their parents any time to read to the dogs. Klepacki says she hopes to expand the reading program to all of the Humane Society of Missouri’s shelters — and to cats as well.